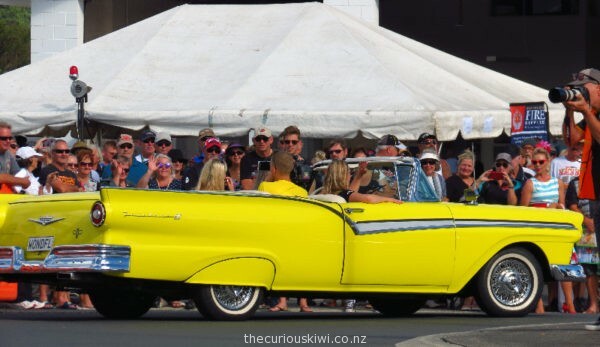 There were a few unusual vehicles in the Grand Parade at Beach Hop this year including a yellow electric 1957 Ford Fairlane. 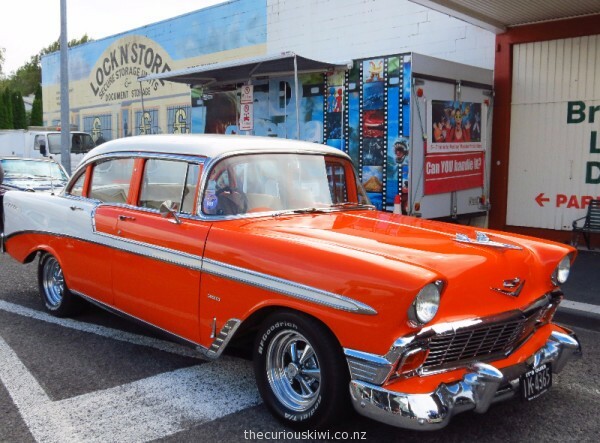 If you’re in New Zealand you’ve probably seen Ron and Malcolm making a quiet getaway in the big yellow Ford in the Mercury Energy TV ad (if not follow the link). 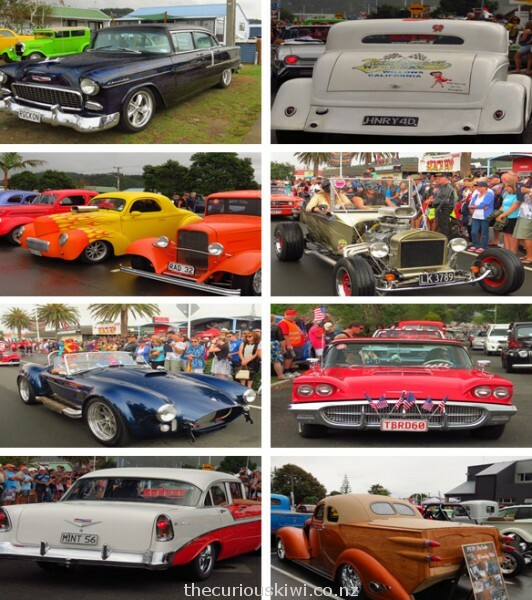 Classic cars and hot rods rolled into Waihi this morning for the start of Beach Hop 2017. 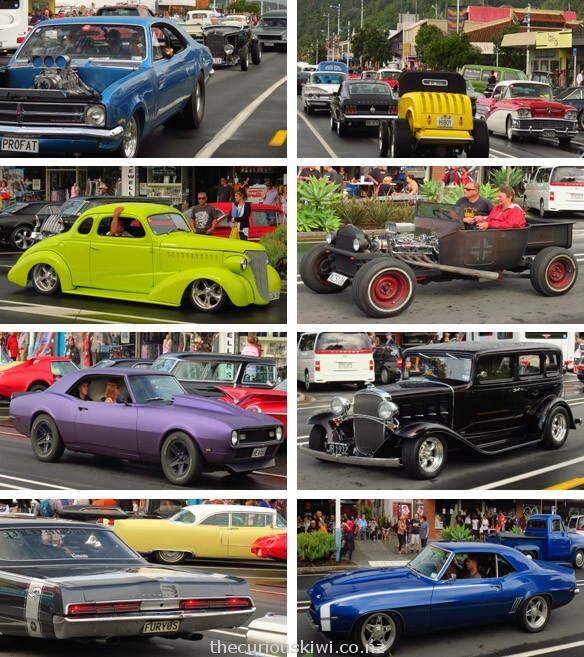 Seddon Street was petrolhead HQ and it was bumper to bumper car candy ….. 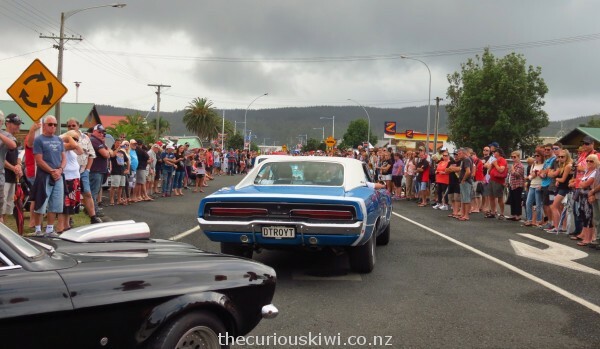 It was a bring the brolly Beach Hop this year and the changeable weather had an impact on the number of spectators at the Grand Parade on Saturday morning. 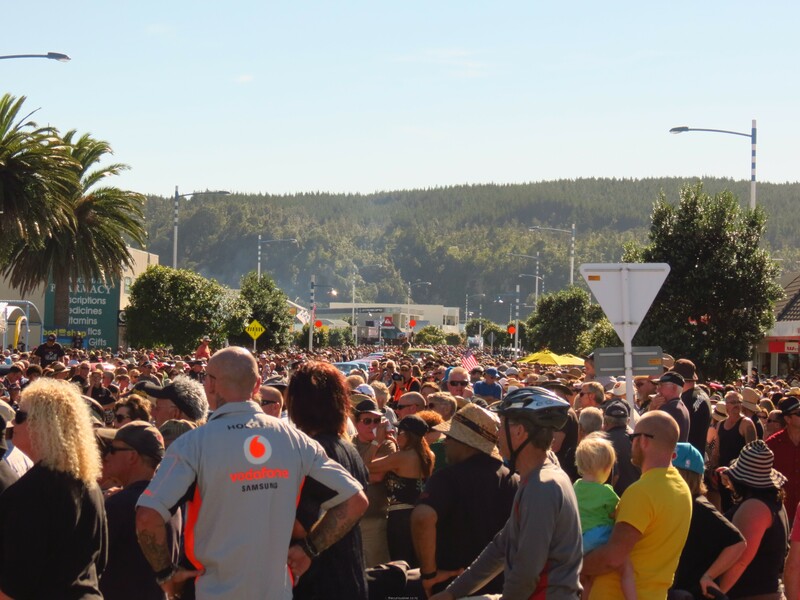 We found it a lot easier to find a space to watch the vehicles rumble by than we did last year. 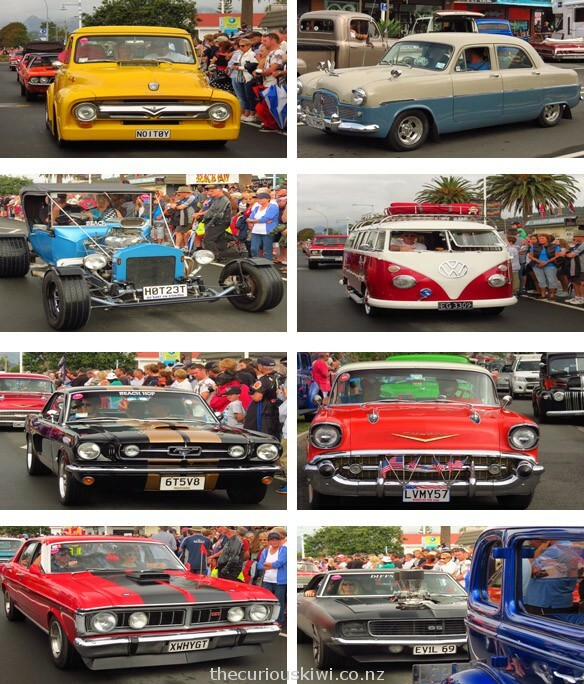 Some of the wicked wheels seen cruising Port Road in Whangamata and in the Grand Parade at Beach Hop. 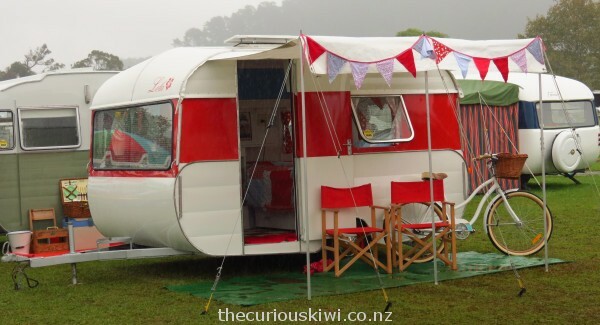 Wet weather didn’t deter caravan owners from attending the annual Retro Caravan Show at Beach Hop in Whangamata. 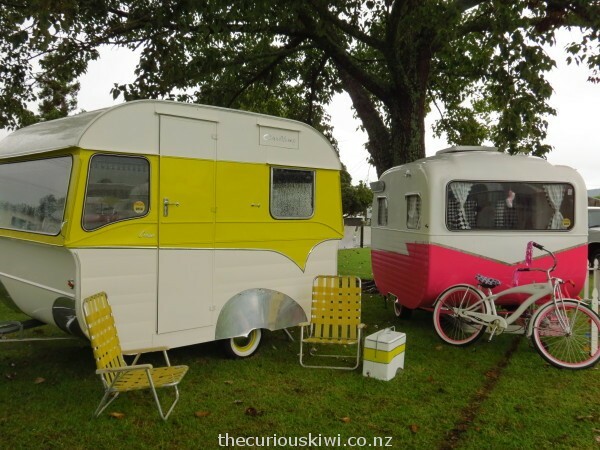 Around 100 cool caravans were on show, here’s a sweet selection …..
We were squatters at Hot Water Beach, a puncture and repair job in nearby Whitianga stole most of our soaking, and all of our digging time. 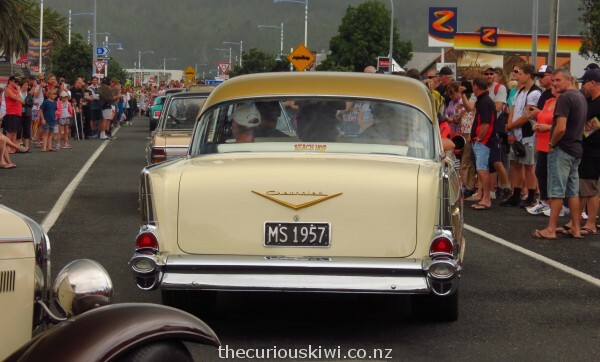 We arrived spadeless and hoping for an abandoned hot pool. 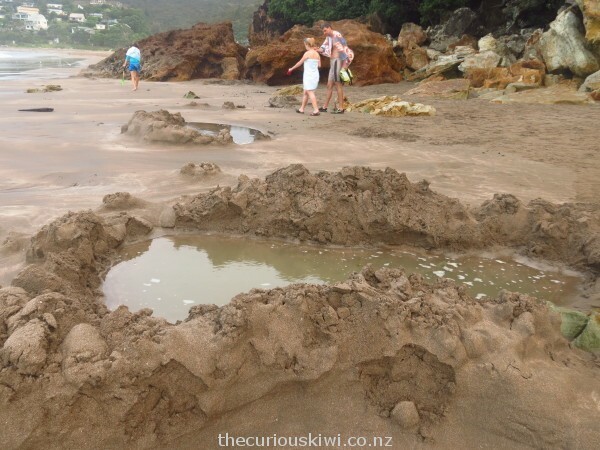 The sea had already started its push toward the high tide mark and fortunately for us some people had dug their free spa and moved on. 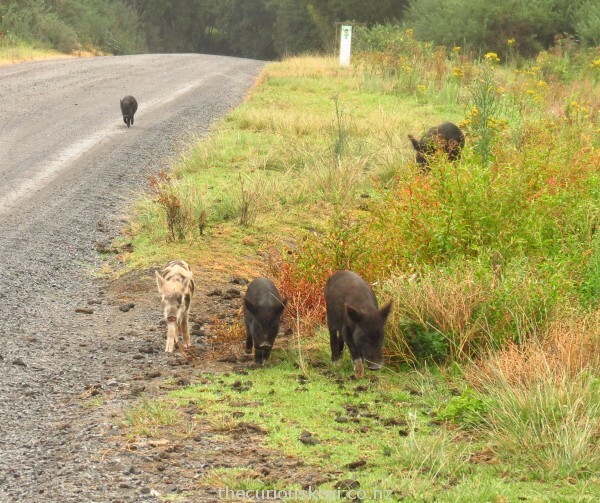 Before you get to The Waterworks on The 309 Road you’re probably going to see some free range pigs, if you stop they will run after you and expect food. 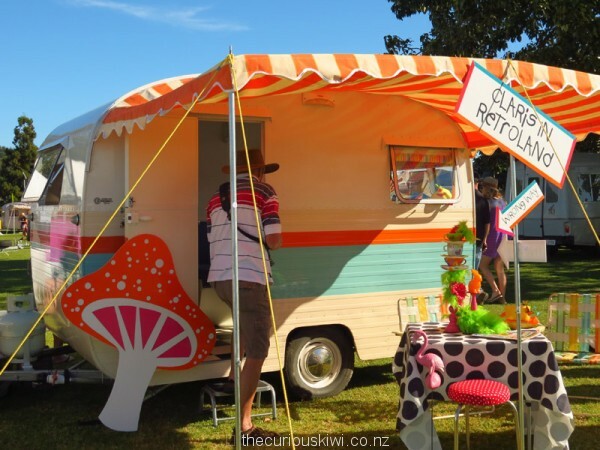 Don’t be meanies like us and stop empty handed, slices of bread will do. 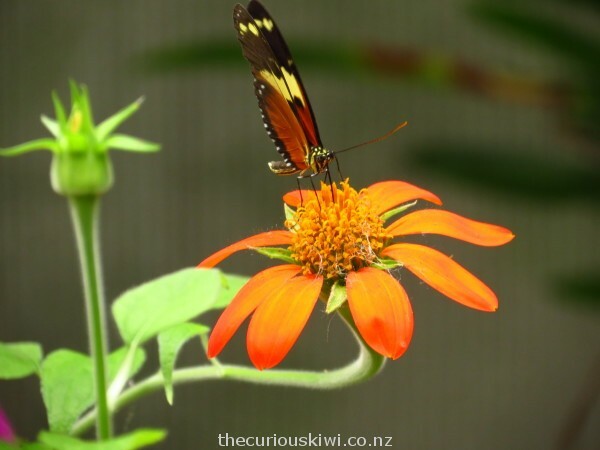 All sorts of stuff has been recycled and reused to create The Waterworks. 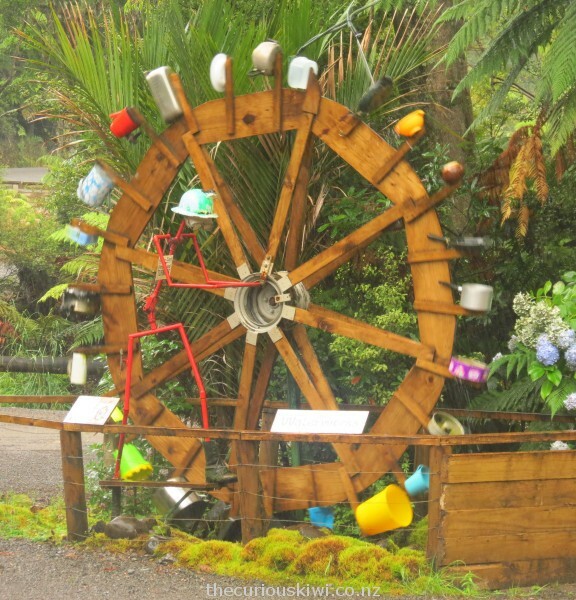 Unusual contraptions include a large water powered music box made out of old car parts and butter knives, and a kitchen utensil water wheel. 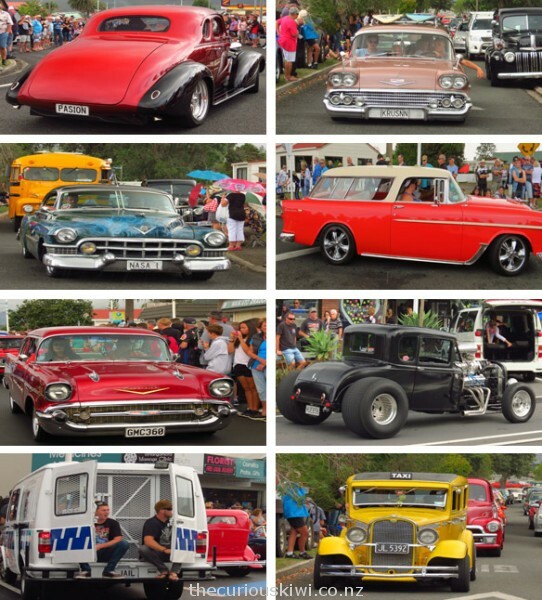 Hot rod, classic car, motorbike, and cool caravan nirvana – Beach Hop, Whangamata. Was it the biggest Saturday crowd ever at the Grand Parade? It certainly felt like it. 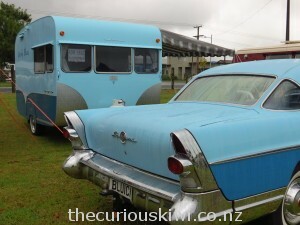 More cool caravans from the Beach Hop Retro Caravan Show in Whangamata …….. 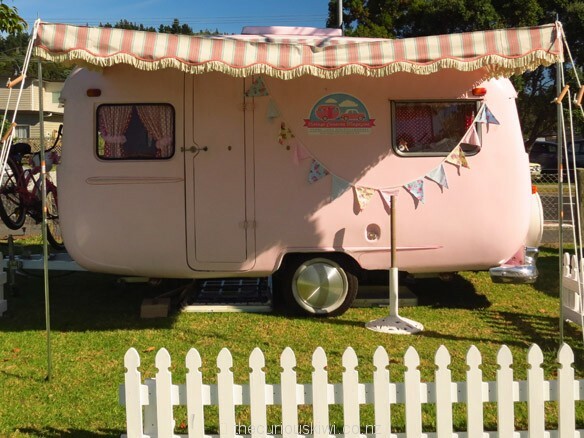 Pretty in pink – Betty. Betty’s part of the team at Vintage Caravan Magazine, sponsors of the Beach Hop Retro Caravan Show 2014. 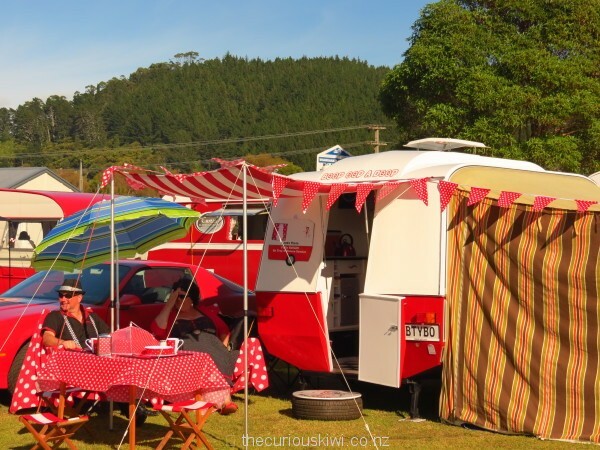 Claris is featured in the March/April edition of Vintage Caravan Magazine. 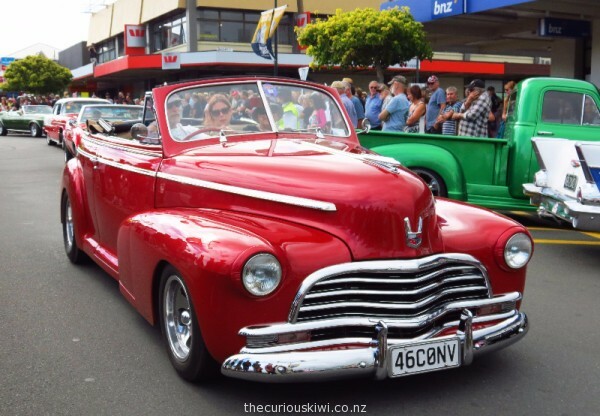 A well deserved rest for this friendly couple who worked until Friday night to get their 1982 Pinto ready for Saturday’s show – she’s a sweetie.